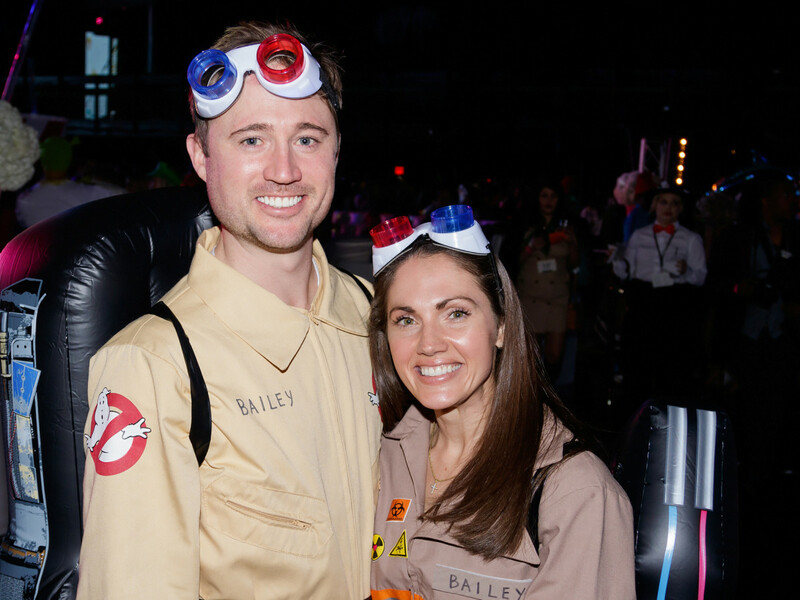 The theme of the Birthday Party Project's annual bash is always a huge draw, and this year's nostalgic choice allowed cinephiles to really get creative. 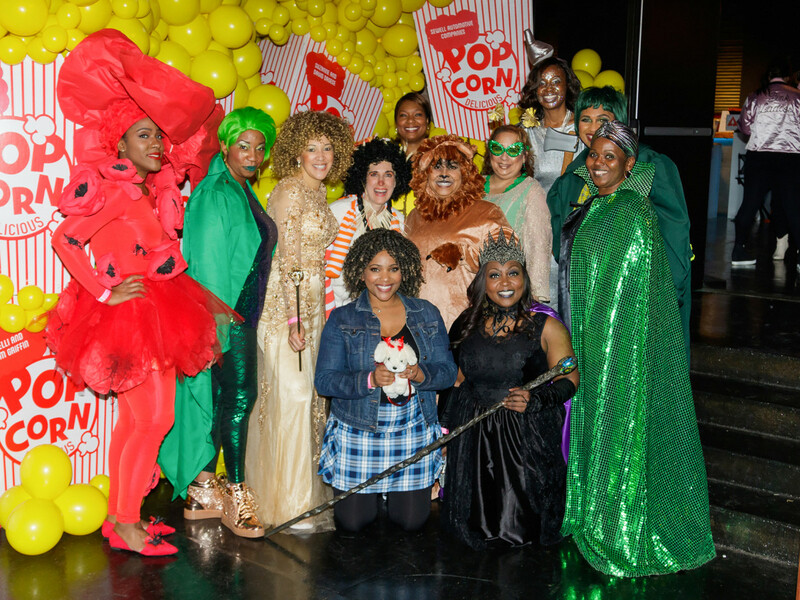 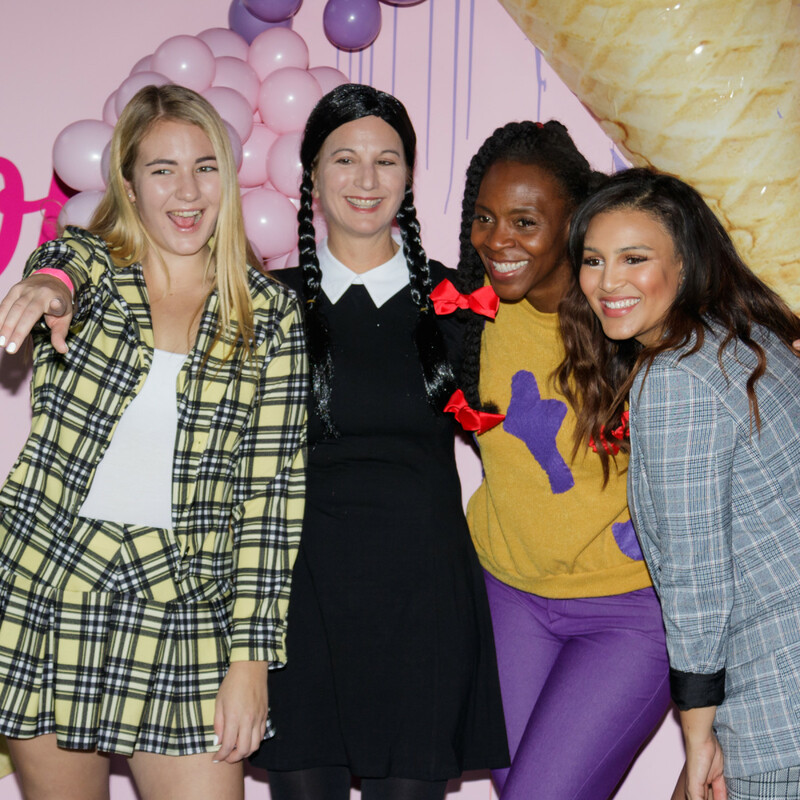 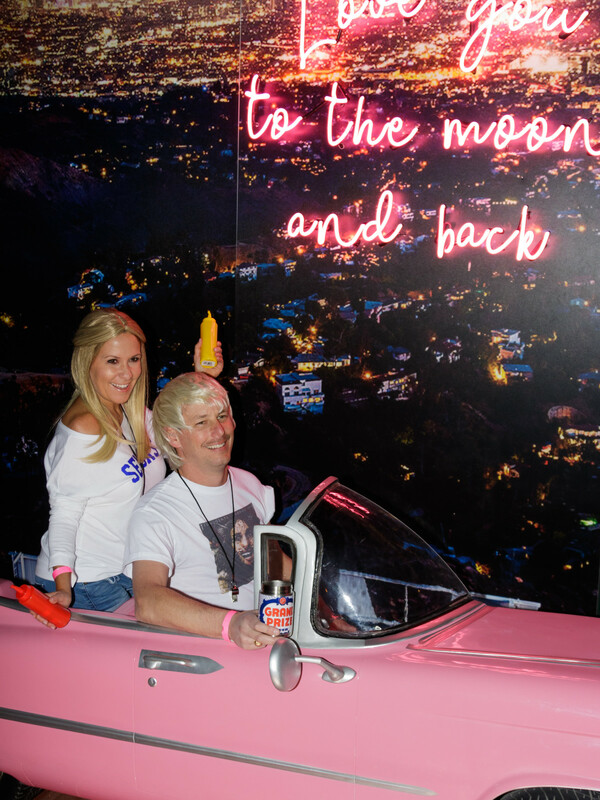 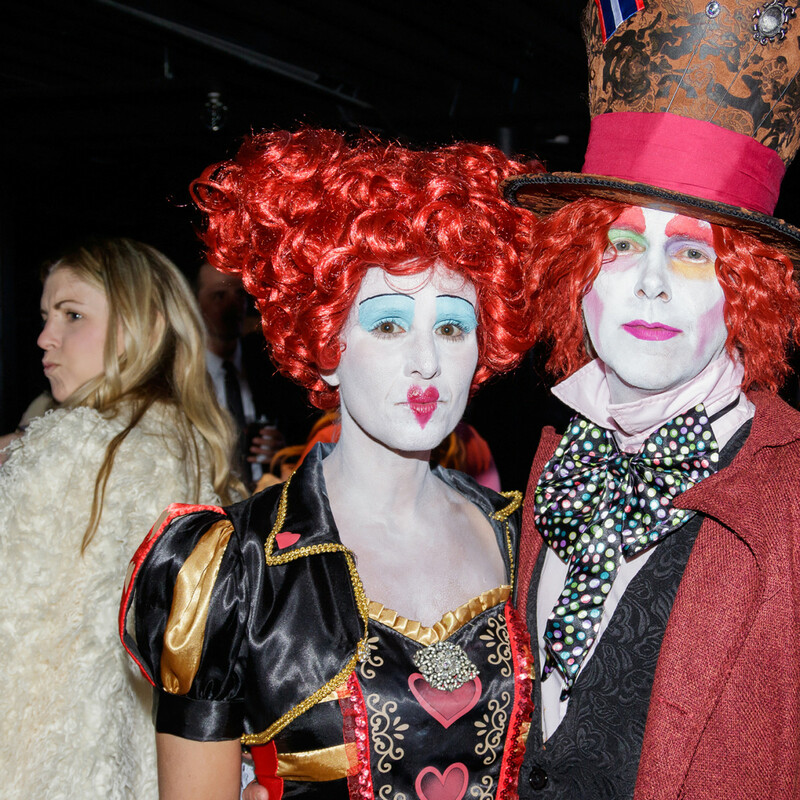 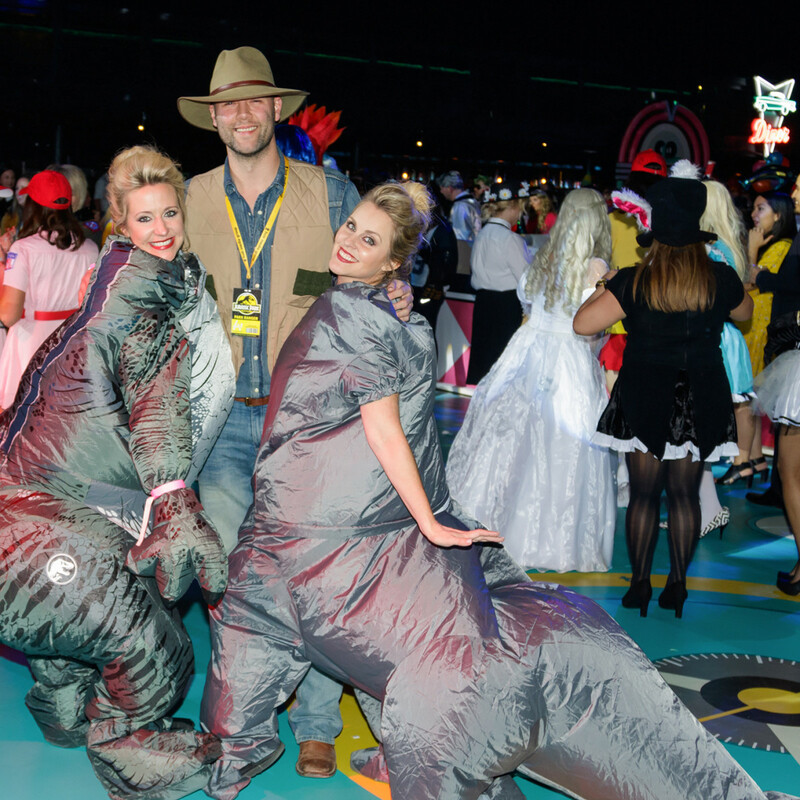 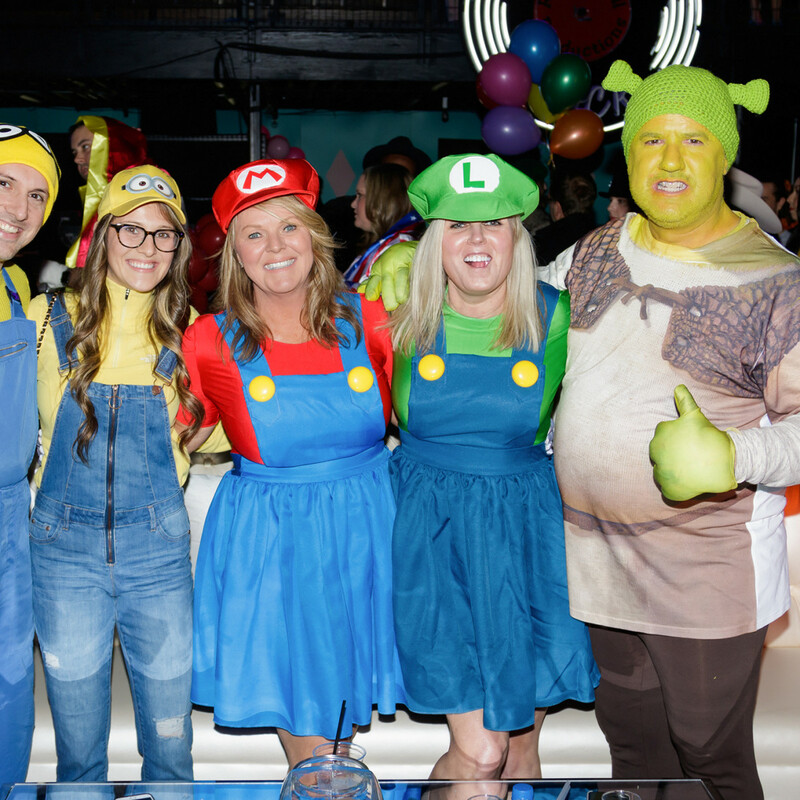 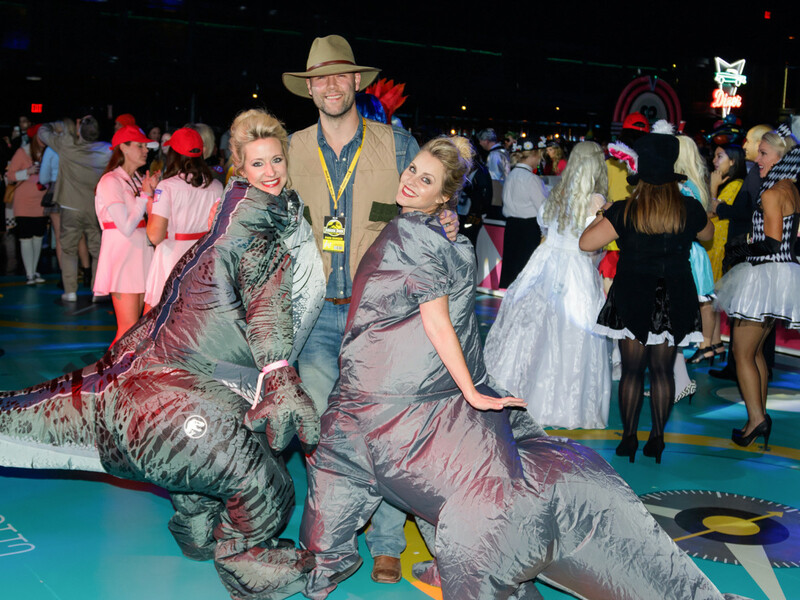 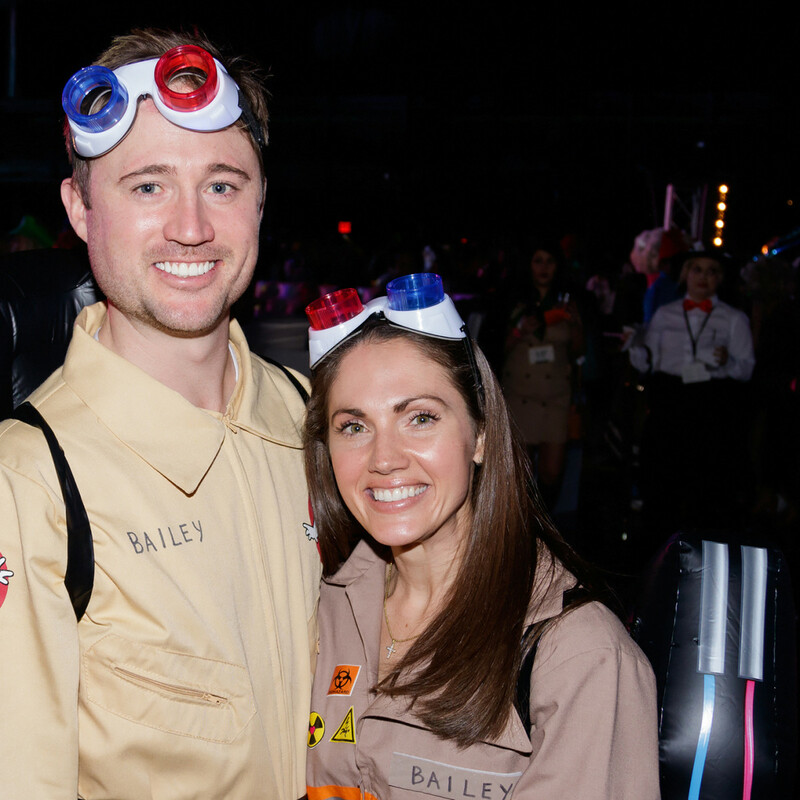 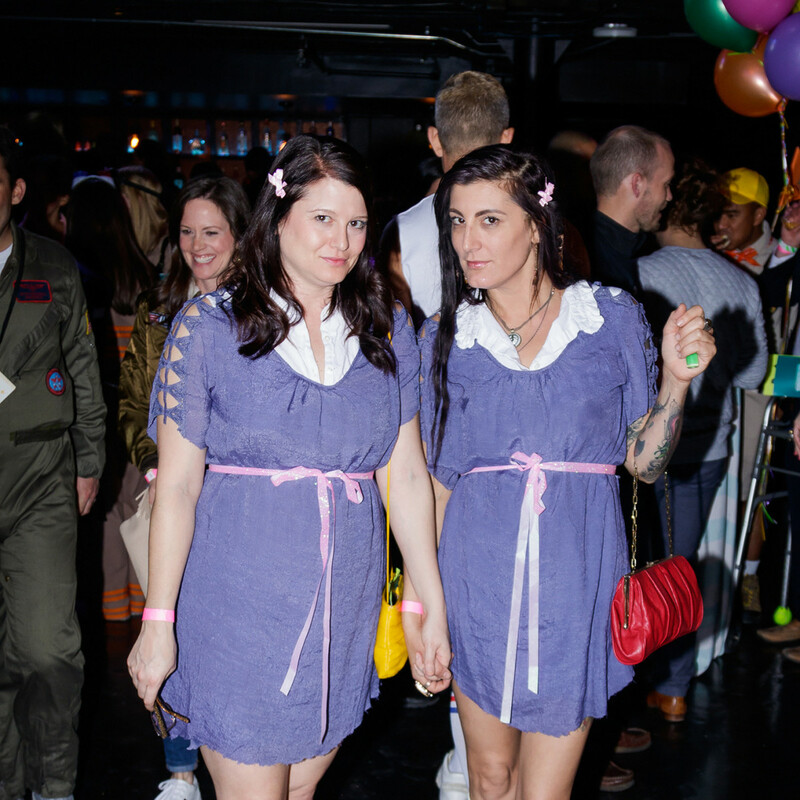 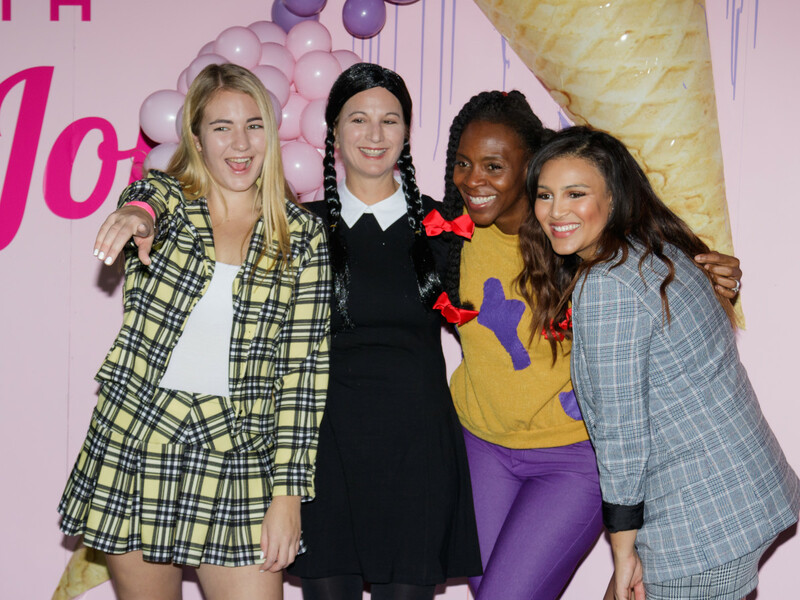 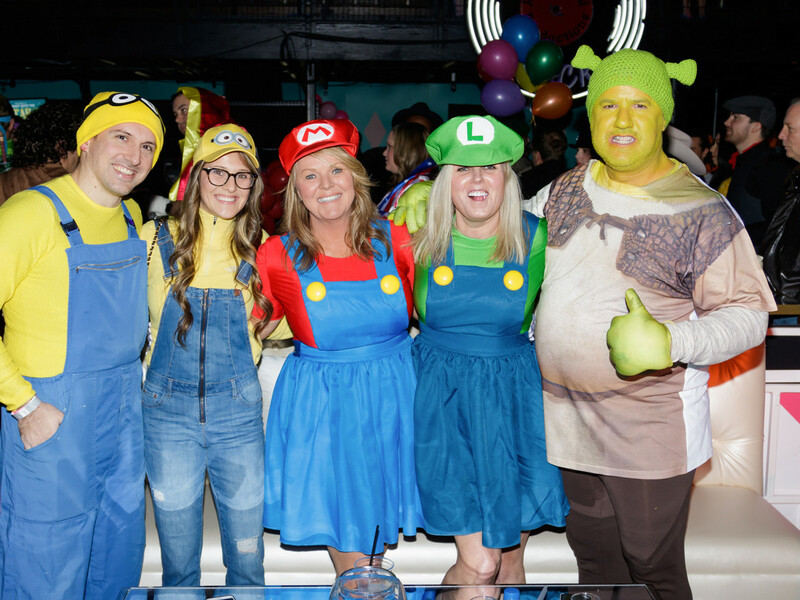 Event planner Hannah Kohler and event design and production lead Emily Clarke invited fans to A Night with the Stars, ensuring that a plethora of Pink Ladies and T-Birds could party with Elle Woods, Pennywise the clown, Indiana Jones, and even an Oompa Loompa or two. 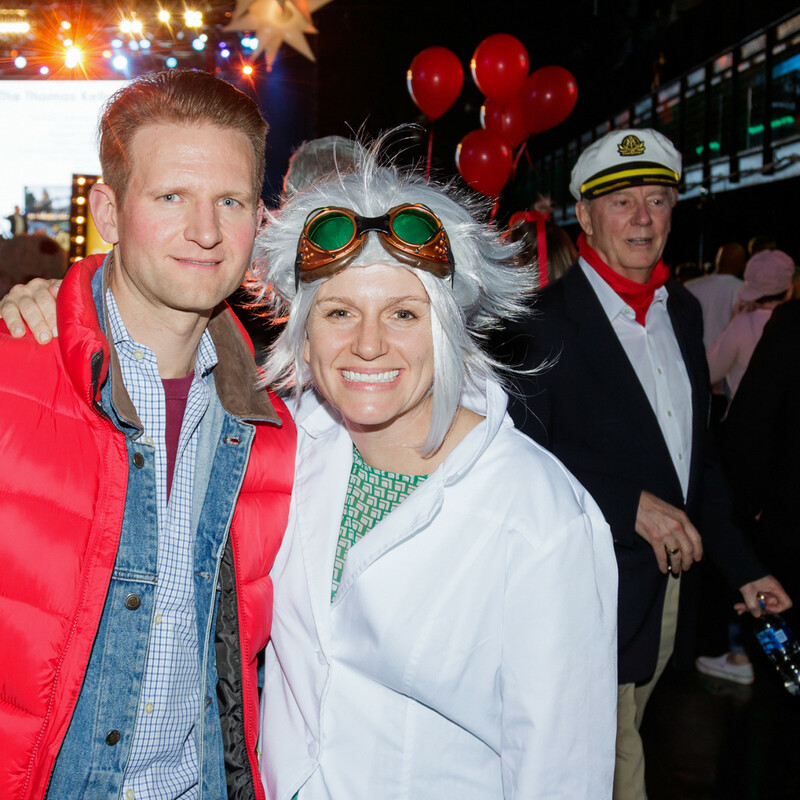 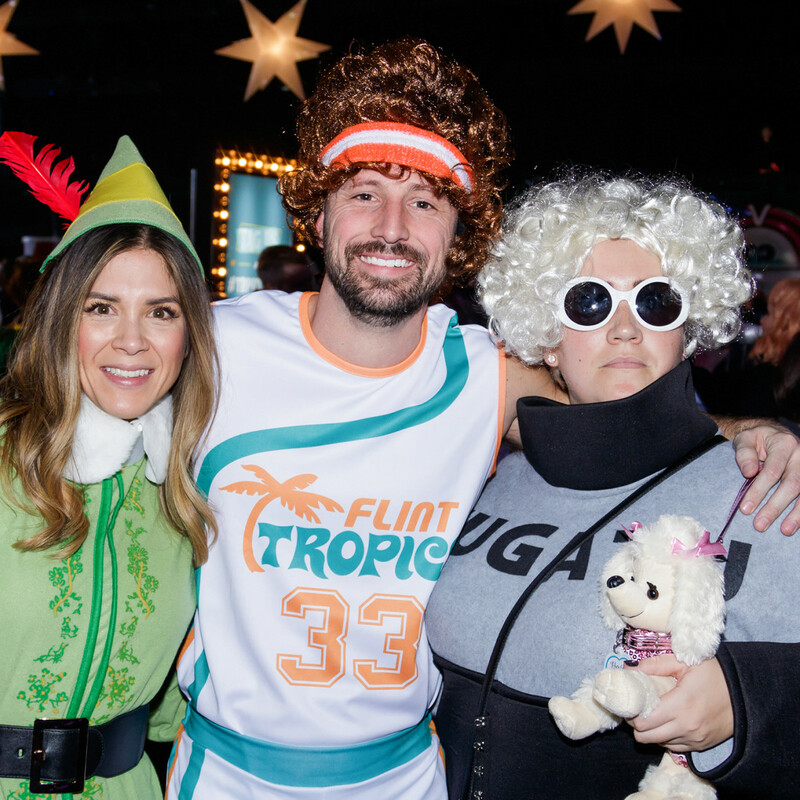 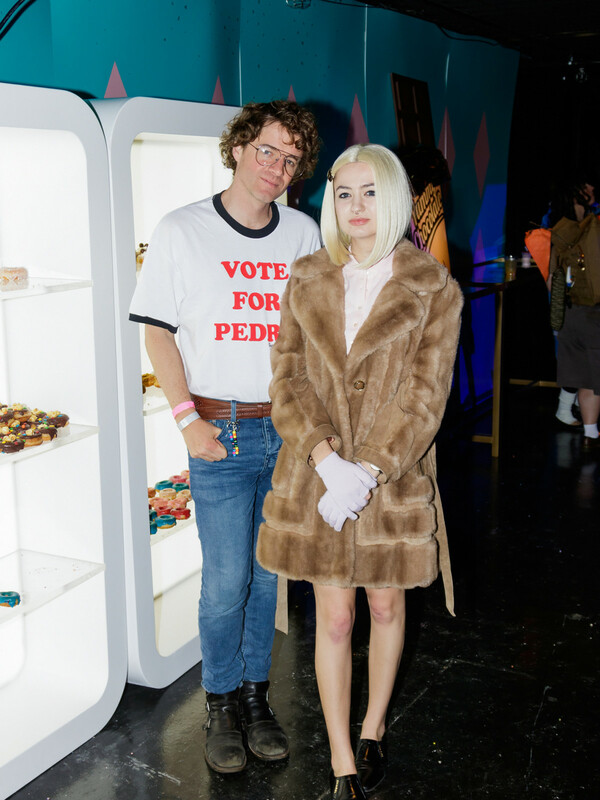 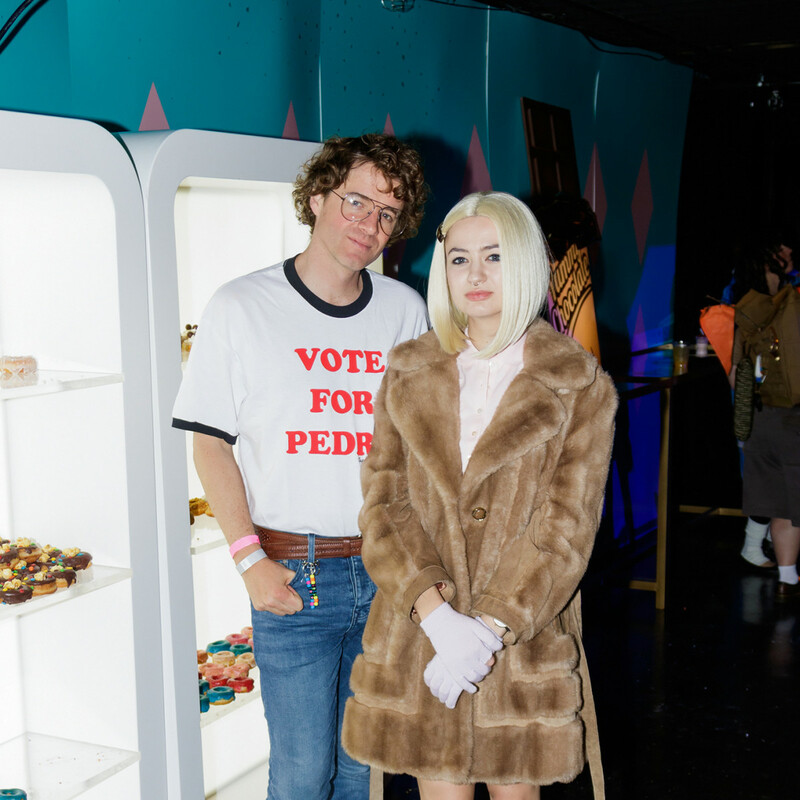 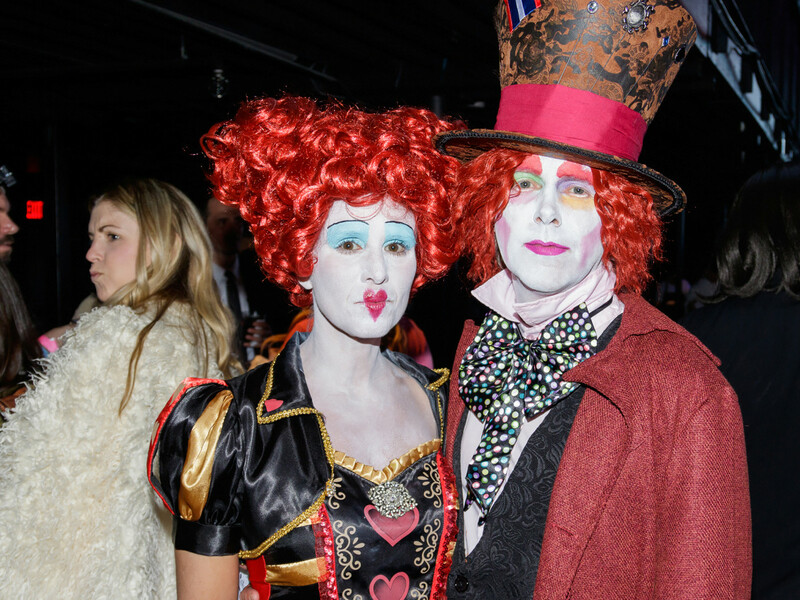 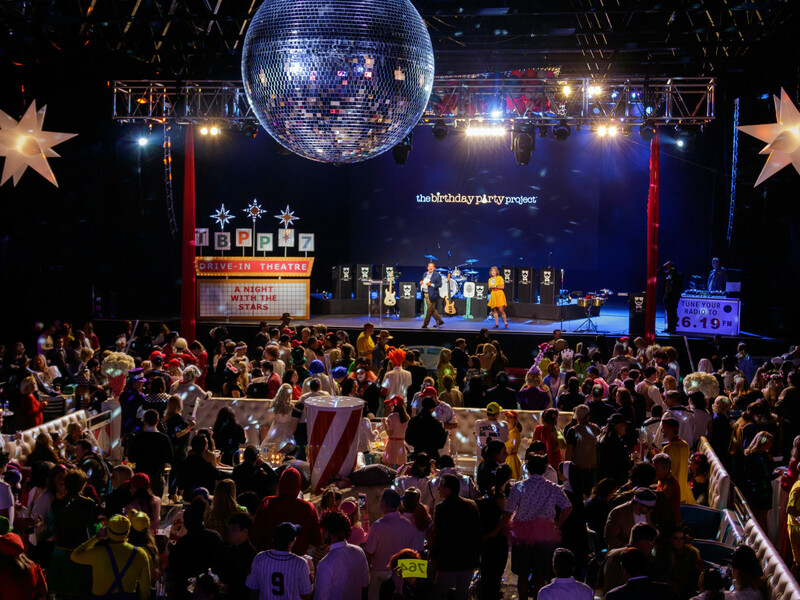 Held again this year at the Bomb Factory in Deep Ellum, the blow-out raises funds for the Dallas-based nonprofit and its mission of hosting birthday parties for children living in homeless shelters or transitional situations. 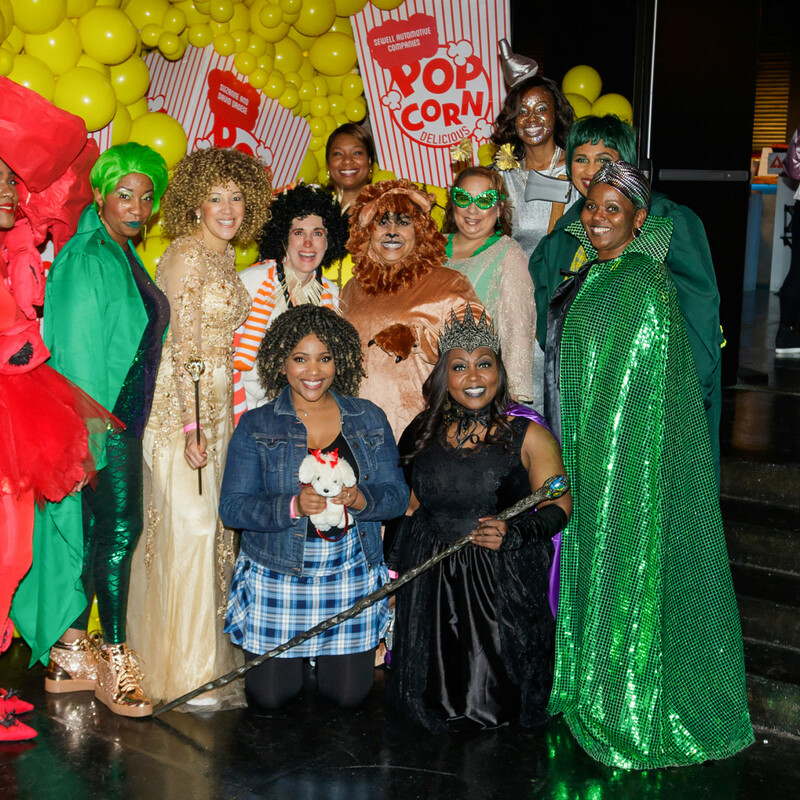 Giant soda cups and popcorn buckets (cleverly made of flowers and balloon clusters) dotted the bi-level space, which also featured several GIF and photo opps. 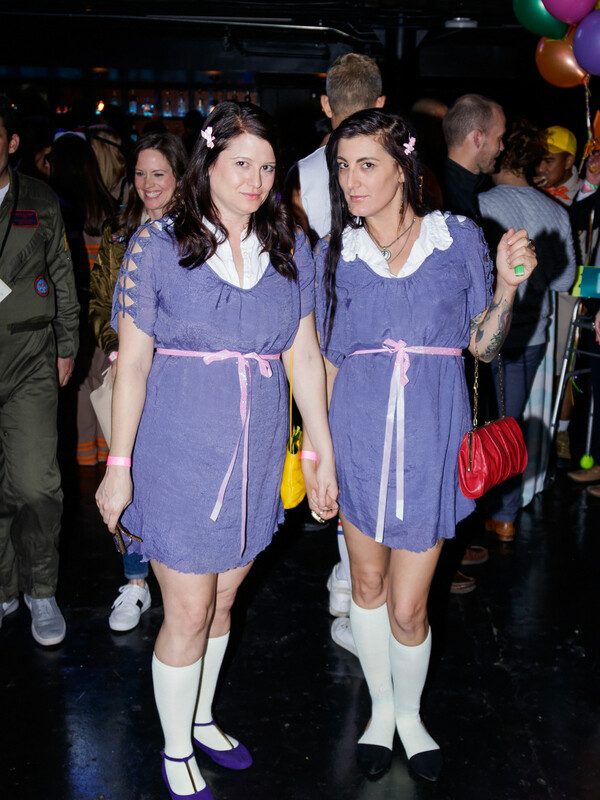 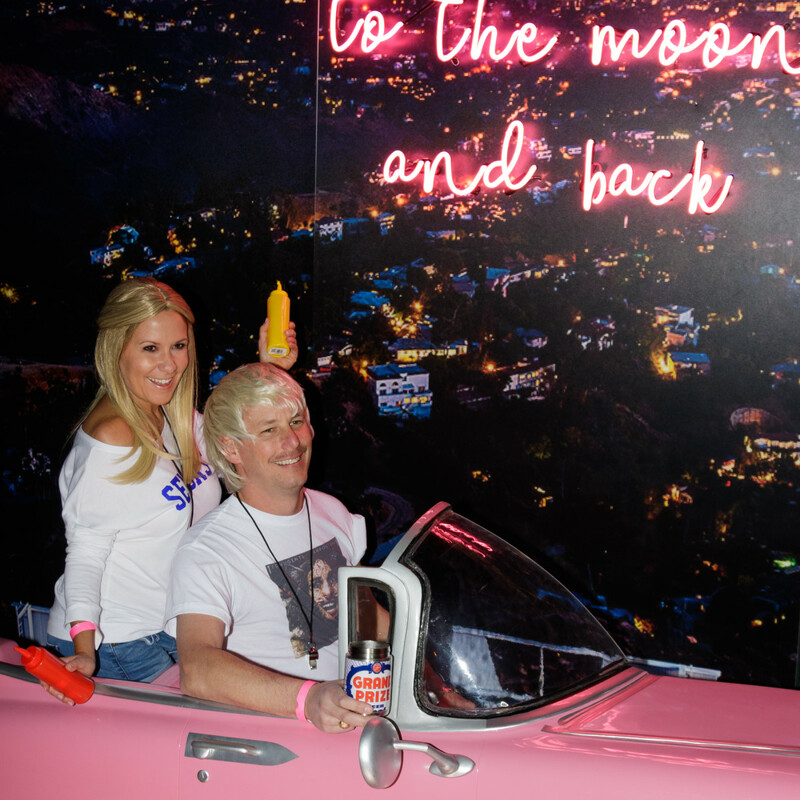 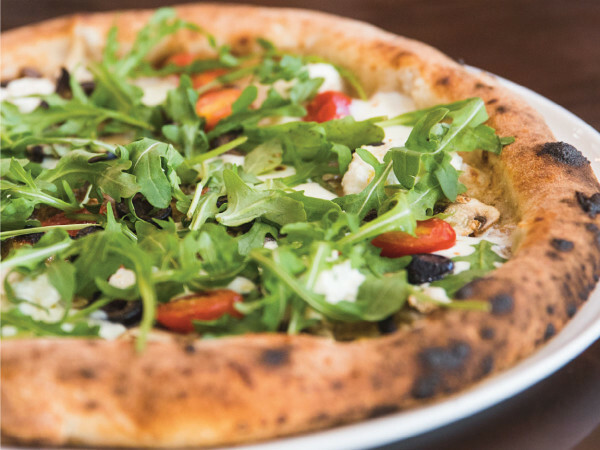 Food and beverage chairs Dana Blaugrund and Jennifer Harris secured such themed bites as classic burgers and fries, as well as newer takes on old favorites — we're looking at you, Proper Catering, and your giant raclette of cheese that was hand-melted over tater tots. 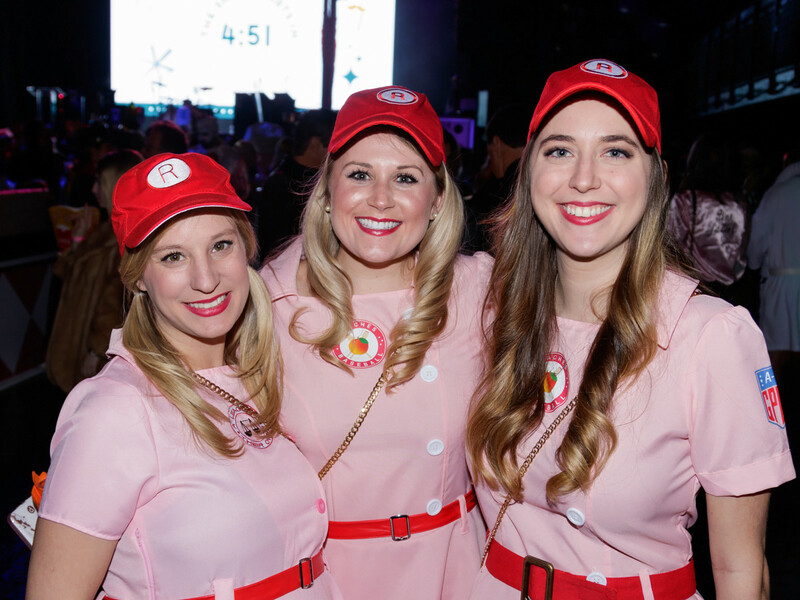 While Ferris Bueller and Forrest Gump danced with the Rockford Peaches, the Jordan Kahn Orchestra and DJ Souljah kept the beats coming. 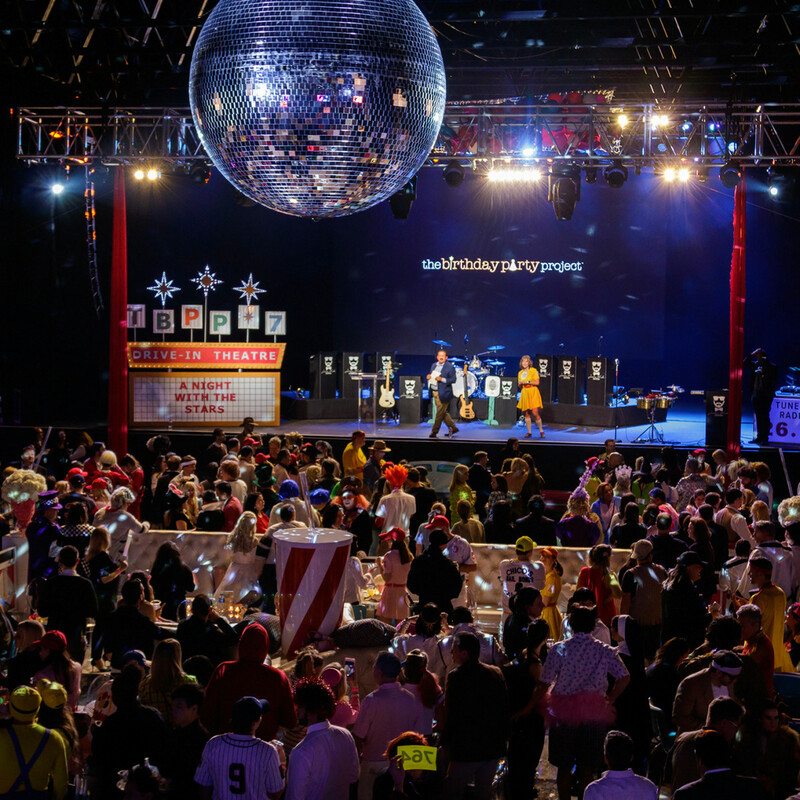 Aerialists spun above the crowd, but were thankfully safely down before the big balloon drop at the end of the night. 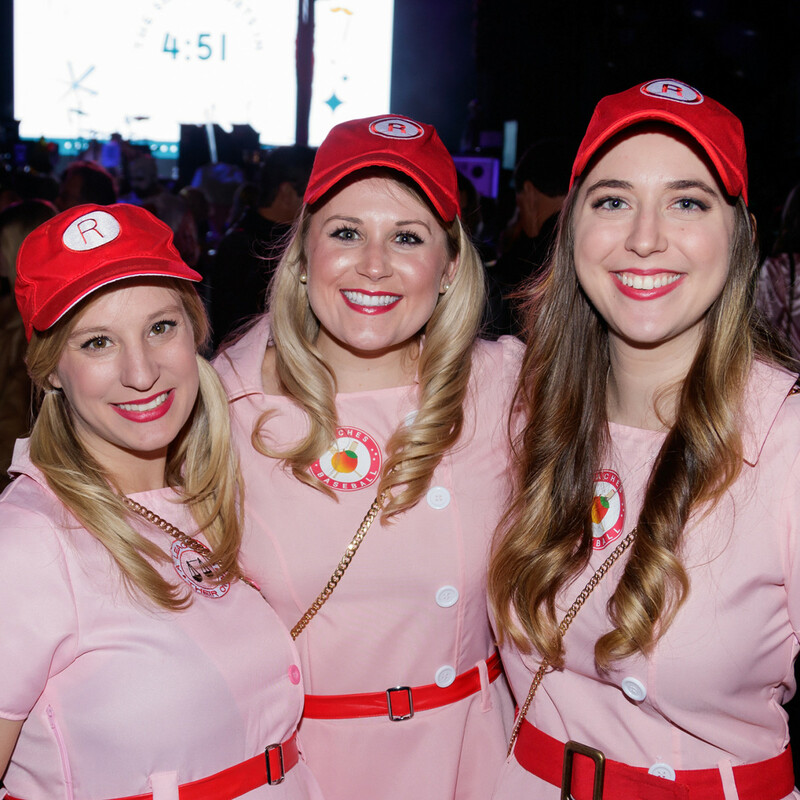 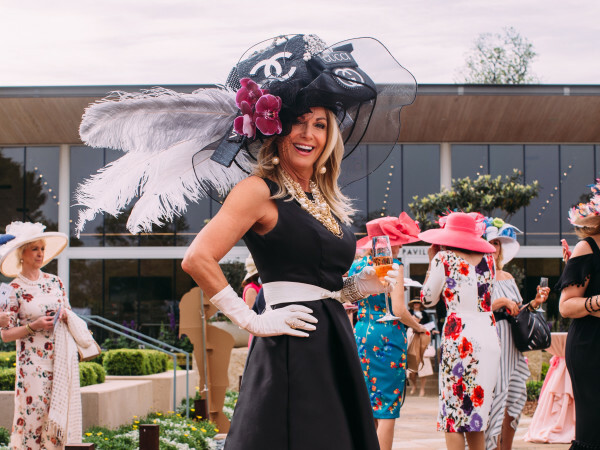 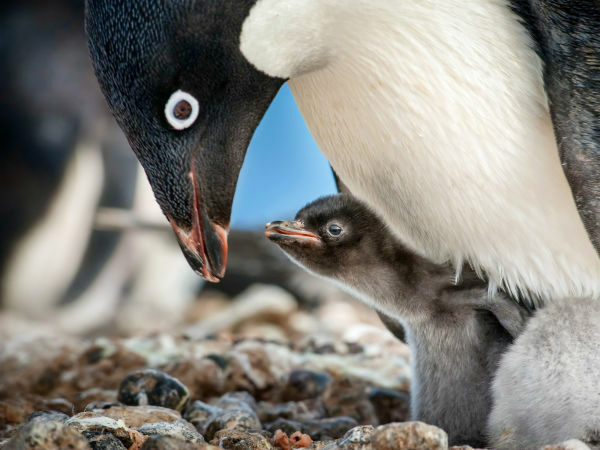 While 100 percent of ticket proceeds went to TBBP, guests could give more by pledging on giant boards, purchasing swag from the JOY store, and bidding on the live and silent auctions. 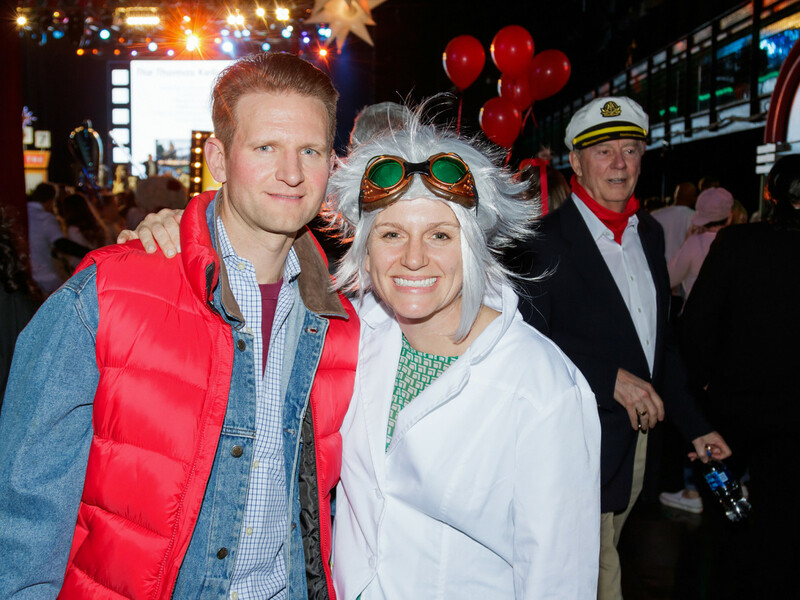 Auction chairs Amanda Albritton, Todd Fiscus, Lauren Heiler, and Shannon King assembled an impressive display of everything from jewelry and art to sports memorabilia and travel, with highlights being a state-of-the-art wine fridge stocked with rare and valuable vintages. 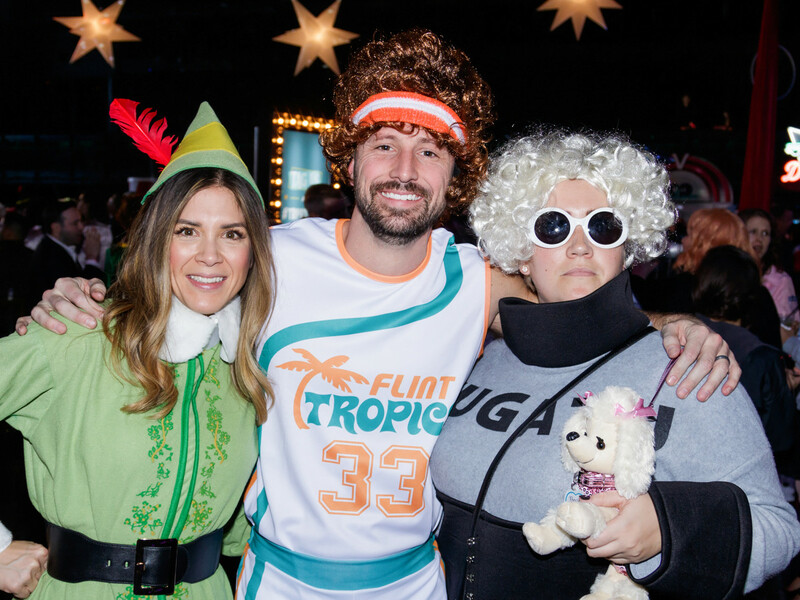 This year's honorees were Suzanne Droese of Droese Public Relations and Tess and Ian Kinsler for their support of TBBP through the years. 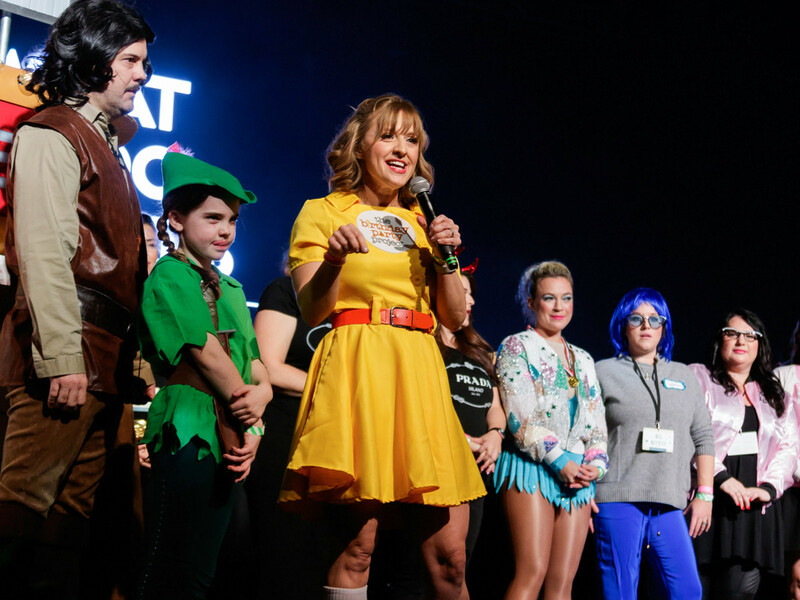 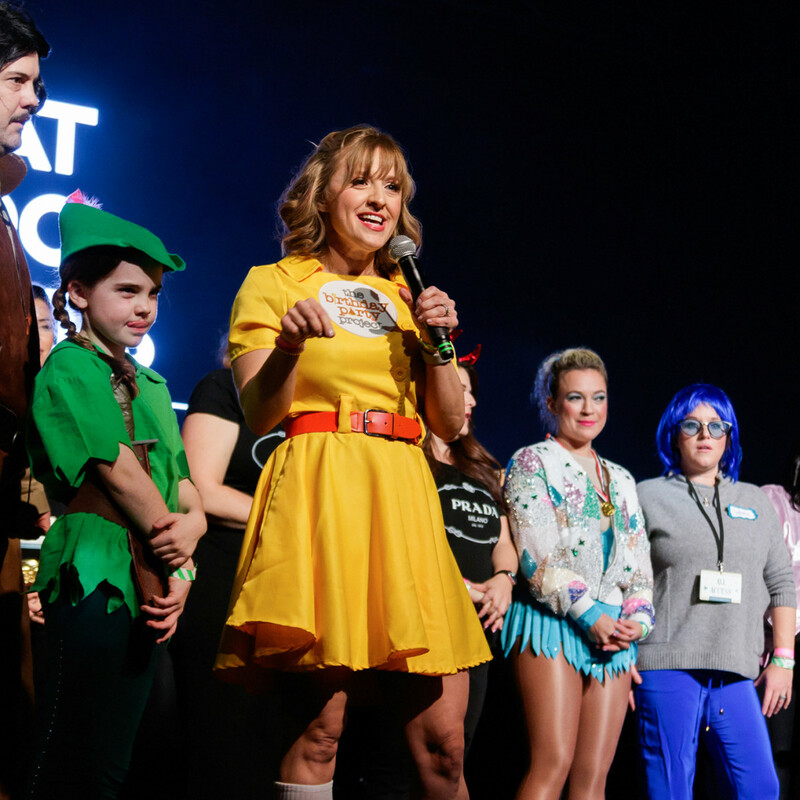 When founder and CEO Paige Chenault took to the stage to introduce this year's team of wish-granters, it was also to share the incredible fact that since its founding in 2012, The Birthday Party Project has celebrated over 7,000 birthdays with 42,000 kids in 15 cities.